Following pregnancy, it is best to wait at least nine to twelve months before undergoing tummy tuck surgery. If you are nursing, it is best to wait for at least six months after your baby has transitioned entirely to solids before you choose to have abdominoplasty. Board-certified Kansas City plastic surgeon, Dr. Levi Young, will work directly with you as you plan your procedure to ensure you are ready, physically and mentally, for plastic surgery. Why Consider Tummy Tuck After Pregnancy? 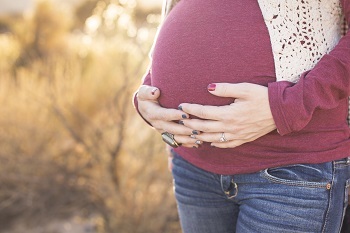 Pregnancy can have a profound impact on the appearance and comfort of the body. In the abdominal area, this typically includes the accumulation of fat and a stretching of the skin. Following delivery, it may take years to remove excess fat through diet and exercise - and these traditional methods of weight management will do little to nothing to address excess skin or its consequences: stretch marks. Diet and exercise are also most often inadequate to address diastasis recti, a common result of multiple pregnancies. Diastasis recti is a separation of the abdominal wall. Once separated, risks for abdominal hernia and lower back problems increase exponentially. During tummy tuck surgery, these muscles can be knit back together, allowing them to reattach and firm, which may help to prevent chronic pain and other serious problems that can accompany a weakened and loose core. Abdominoplasty address diastasis recti, excess skin, and stubborn fat. Combining these things, tummy tuck surgery can tone and slim the waist, draw in the hips, and smooth the stomach for ideally firm contours. It may even eliminate stretch marks. If pregnancy has altered your body in ways that traditional weight management methods like diet and exercise have failed to address, call our Kansas City plastic surgeon today to schedule a consultation and learn if abdominoplasty is the best solution for your needs. Some women choose to combine tummy tuck with breast surgery for a complete mommy makeover. This procedure addresses those areas most impacted by pregnancy and nursing with the aim of restoring a more contoured and defined body and bust. To accomplish this, Dr. Young may suggest additional procedures, such as liposuction, to remove stubborn fat from the ankles, thighs, back, arms, neck, and face as well. Each mommy makeover procedure is completely customized to address the specific concerns of the patient. During your time in our care, we will take time to answer all of your questions, provide you with honest and useful information, and ensure you are making the decisions that are best suited to move you in the desired direction. Dr. Young is a board-certified plastic surgeon with privileges at accredited surgical facilities in Overland Park and Kansas City. If you live in the area and are considering abdominoplasty or any other plastic surgery procedure, please call 913-341-2188 to schedule your consultation today.